Washington, April 12: US Secretary of State Mike Pompeo has privately urged Saudi Crown Prince Mohammed bin Salman, the heir to the Saudi throne, to cut his ties to a close adviser whom Washington has sanctioned for his alleged role in the murder of journalist Jamal Khashoggi. 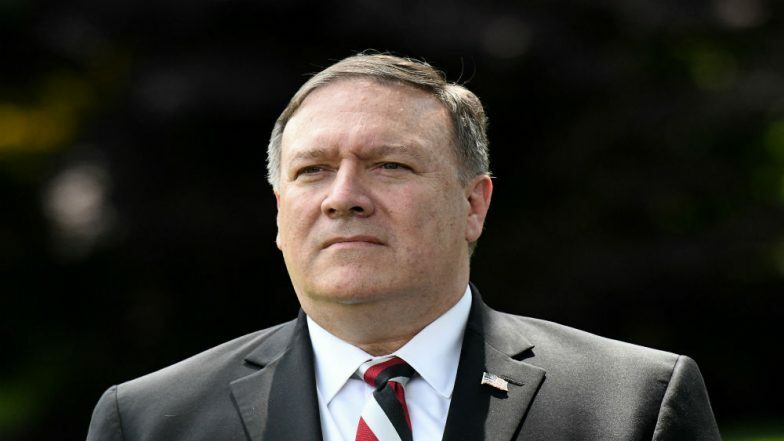 According to a Guardian report on Friday, Pompeo was understood to have raised his concerns about Saud al-Qahtani in private conversations with Mohammed bin Salman, also known as MBS, and his brother Khalid bin Salman. The report said that US authorities believe that Qahtani, a former aide to the Crown Prince, oversaw the team that killed Khashoggi, a Washington Post columnist and a critic of the Crown Prince, in the Saudi consulate in Istanbul in October. He is thought to have remained a confidant of Prince Mohammed despite having a lower profile in recent months. He formerly served as the head of Saudi's cyber-unit. The Guardian said that the advice to sideline Qahtani comes at a time when Pompeo's support for Saudi Arabia is facing intense scrutiny in Congress, where the Donald Trump administration has been criticized for not condemning Saudi Arabia strongly enough following Khashoggi's murder. Saudi Journalist Jamal Khashoggi’s Murder: Lack of Information Irks US Senators. A US State Department spokesperson told the newspaper it would not discuss details of private diplomatic conversations. Qahtani was publicly rebuked after the Khashoggi murder, when Saudi King Salman had his son's adviser removed from his role at the royal court, according to the daily. But within months, reports emerged that Qahtani was still communicating with MBS and was actively participating in his crackdown against dissidents. According to the Guardian, Qahtani is still actively engaged in a similar role within Prince Mohammed's private office.